Web Hosting Package, No Limits. By offering packages that covers every element of your web hosting needs, we save you from gimmicks, needless upsells and upgrades. You’re set for life with our Unlimited plan that guarantees you superior speed, solid functionality and no limits to your bandwidth, email or web space. Choose the perfect domain name for your website for free. We include a choice of .com or .ae. Take advantage of our free mailboxes and communicate on the go, with email access on whatever device you choose, whenever you need. Security is our number one priority and we’ve made sure our hosting is watertight. Premium hardware keeps our platform super-fast and super safe. We want you to succeed, so we’ve given you free bandwidth to allow your website to thrive, no matter how much traffic you get. This is hosting you can rely on. No interruptions, no downtime – just fast, high-quality service. Contact our experts whenever you need help with your hosting package – they are highly-trained and ready to assist you. Our hosting plan comes with hundreds of free apps you can use to build and customise your website in just a few clicks. This includes WordPress, the world’s most popular CMS, which gives you the freedom to build a fully-functioning website or blog that looks and behaves exactly how you want it to. Take advantage of themes and plugins, and easily upload your own content to bring your site to life. 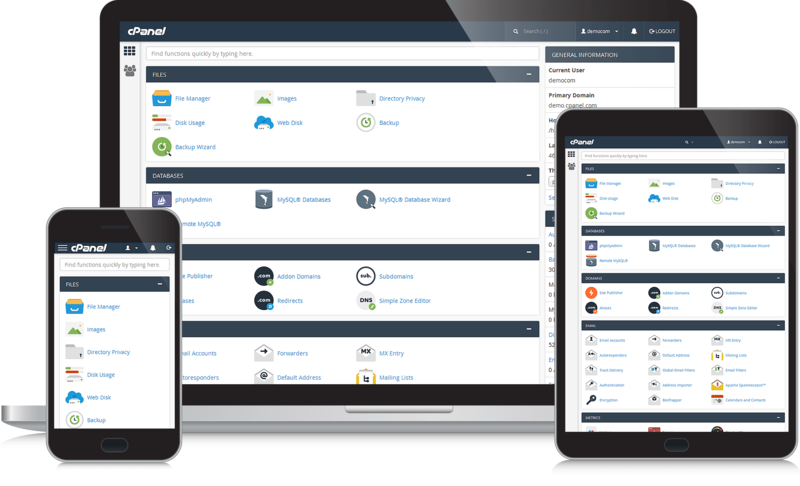 You’ll use the world-renowned cPanel control panel to manage your website with simplicity. Complete administration tasks like email account setup, subdomain management, application installation and web page management in minutes, from one easy location. 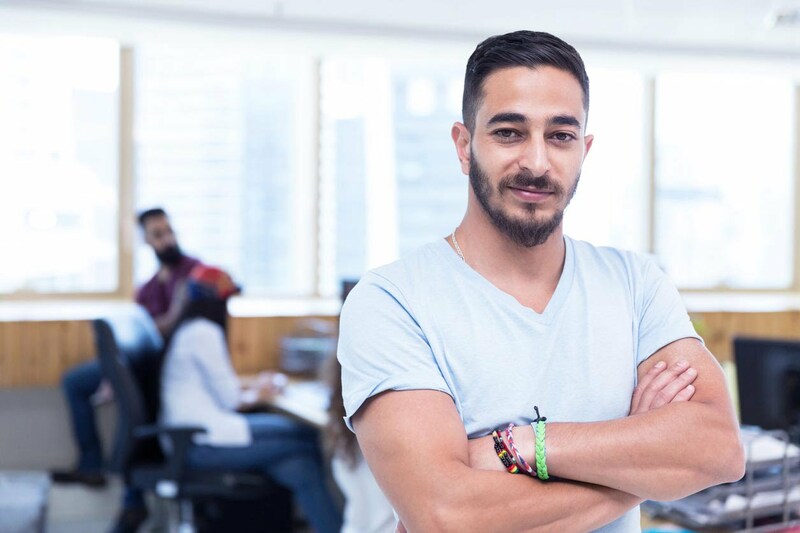 Our highly trained experts have years of experience in the technology and web hosting fields, and are well-equipped with the knowledge to assist you whenever you need it. We know you’re busy, so we’ve made it easy to get in touch and get the assistance you need in a convenient way for you. Web Hosting is what we use to store a collection of files that are essentially, your website, on one of our servers. We will give your website a unique DNS, so when someone types in your domain name, they will be taken to your website which ‘lives’ on our server. Think of it as renting a space for your website – we are the landlords! Do I need a domain name to use with your hosting? You will need a domain name to connect to the hosting package. If you don’t already have one, there’s no need to worry as our Unlimited hosting plan comes with a free one. Can I use a domain name registered somewhere else with tasjeel.ae web hosting? Yes. All you need to do is point your domain to our servers from your current provider’s control panel (they should be able to help you with this). How long does it take to set up your web hosting? If you need to register or point a domain to your package this could take a few moments longer, otherwise your package will be ready to use minutes after purchase. Our hosting package comes with hundreds of free apps you can use to build a website, such as WordPress, which is a full Content Management System that will allow you to easily build a blog or website and improve functionality with plugins. Do you provide migration support? If you need to move your website over from another provider and you’re not sure how, you can contact our support team who will be happy to assist you.